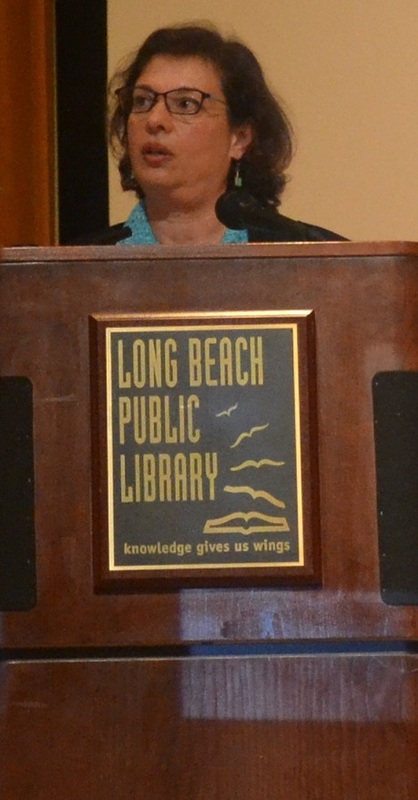 About 50 people heard Sonia Nazario, who won Pulitzer Prize for her Los Angeles Times series and in which the her book, “Enrique’s Journey” is based, speak on Saturday, March 15 in the Main Library Auditorium downtown. The free event was sponsored by the Blanche Collins Forum. “Enrique’s Journey” is about a 15 year-old boy who travels from Honduras to the United States in search of his mother, who left him when he was five. Nazario first described her childhood in United States, where she was born, and in Argentina, during the Argentine military’s ‘dirty war.’ She told of one incident in Argentina, when she was 14. She was walking on a Buenos Aires street with her mother one day and saw blood on the ground. She asked her mother what had happened. Her mother told her the military had killed the two journalists because they told the truth about what was happening in Argentina. From that incident on, she said she was determined to become journalist. Nazario wrote the Los Angeles Times series because she heard a common theme among many of the undocumented children she interviewed – that these children migrated to the United States in search of their parents who had left them behind. 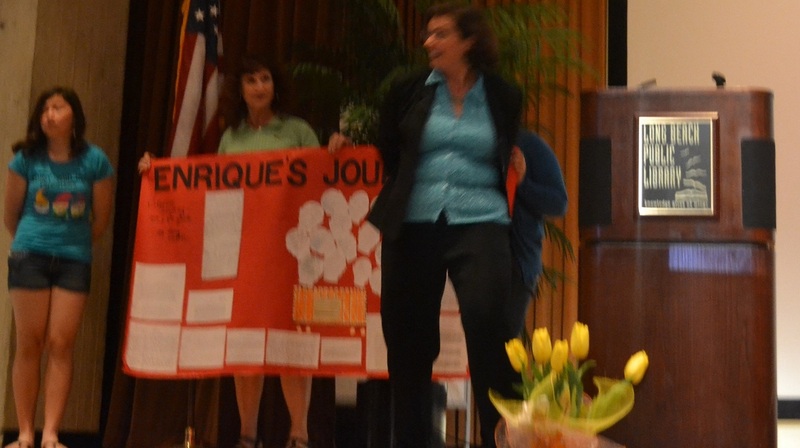 To write the story, Nazario said she followed the same route Enrique followed to be able to gather more details on Enrique’s journey. After Nazario spoke, a book signing followed.